Did you know almost 63 million Americans suffer from chronic constipation? (1) Although constipation may not sound like a grave situation, those dealing with it know how debilitating the condition is. The frequency of bowel movements differs from person to person. The bowel movements may sometimes be strained or incomplete which leads to hardening of the contents of the intestine. If the condition persists for up to 3 days, it makes the emptying of bowels even more painful, resulting in the condition known as constipation. Constipation in itself is not a disease; it may be a symptom of an underlying condition. Caution: If castor oil does not relieve your constipation after 7 days, stop using the home remedies and consult your doctor. You may be suffering from some other health issue that needs your doctor’s intervention. Before looking for the latest medicine, it is safer to see if natural home remedies can get the gunk out of your system. 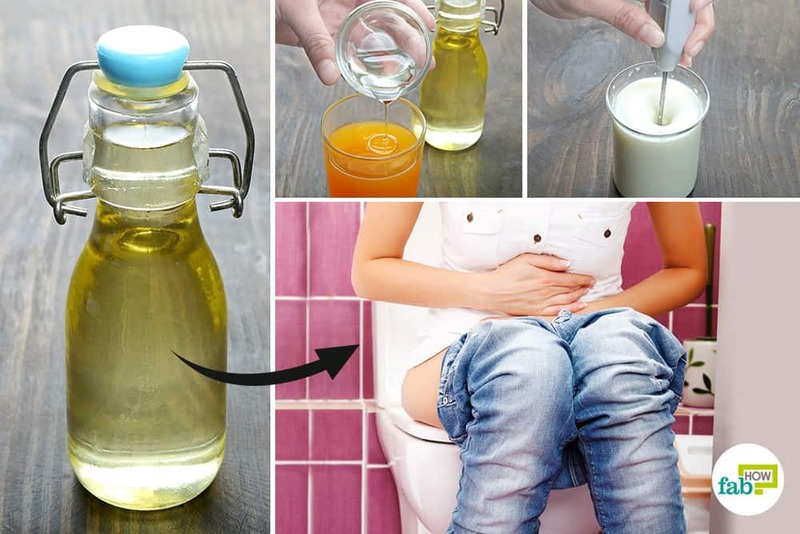 There are different ways you can use castor oil for constipation. If you can stand its unpleasant taste, you can consume it directly or mix it with other ingredients in the right dosage. If that’s not your cup of tea, you can use it topically as well. 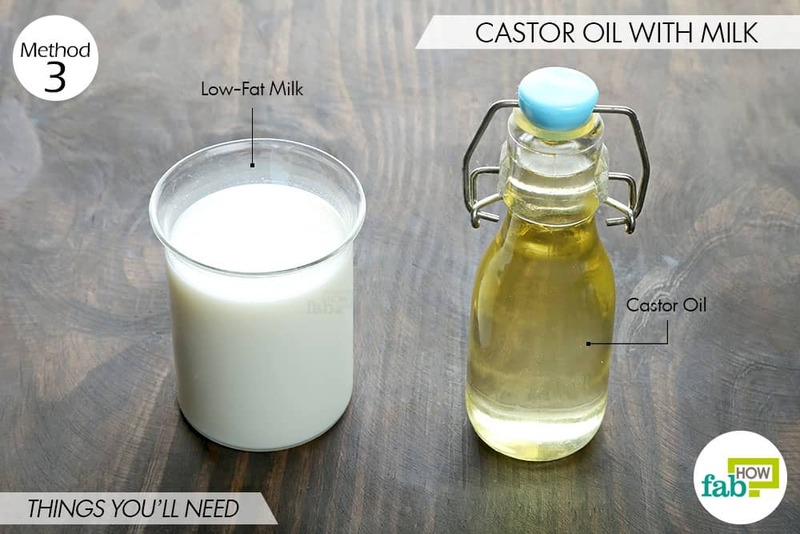 In fact, you can use castor oil for various hair, skin and health remedies. 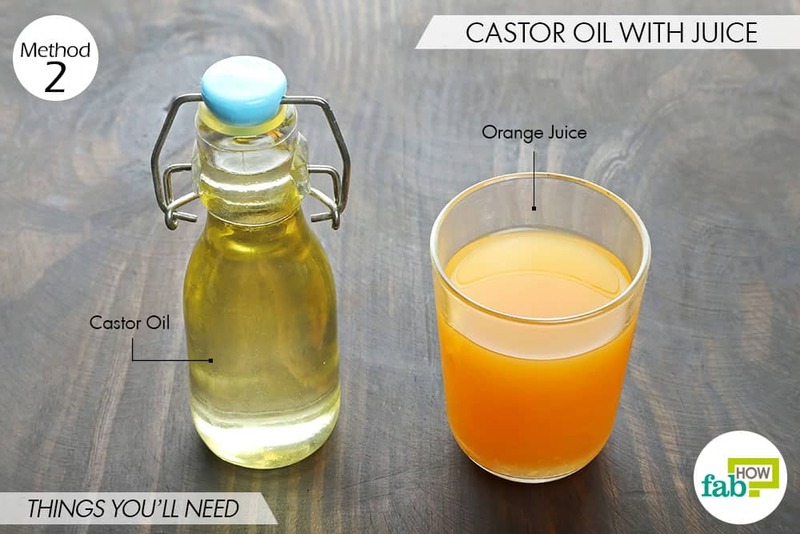 If you’ve been suffering from constipation and failed to get relief from other home remedies, give castor oil a try. Use only 100% organic, cold-pressed, hexane-free castor oil, as it is the least processed and contains the highest concentration of nutrients. Here are the five best ways for people of any age to use castor oil for constipation. A single dose will likely cure your constipation. But to get relief from chronic constipation, you may need to consume it once daily on an empty stomach for 3 or 4 days (or up to a maximum of 7 days). 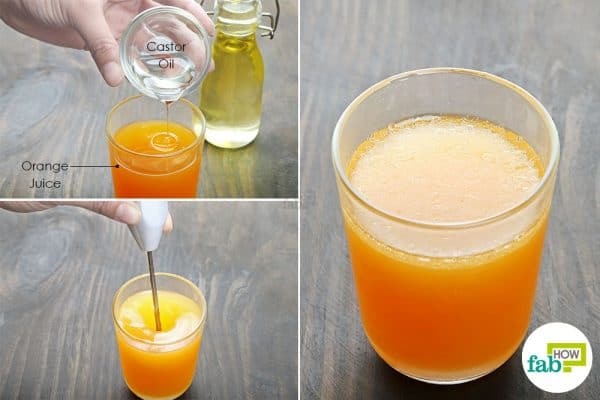 Add 1 tablespoon of castor oil to 1 cup of fresh juice. We used orange juice. Use a motorized blender to mix the two liquids. Drink this early in the morning on an empty stomach for 3 or 4 days to get relief from constipation with castor oil. Another way to use castor oil for constipation is by mixing it with low-fat milk. The lactic acid in milk helps soothe your gastrointestinal tract. The best time to drink it is at bedtime, as the milk will also ensure a good night’s sleep. 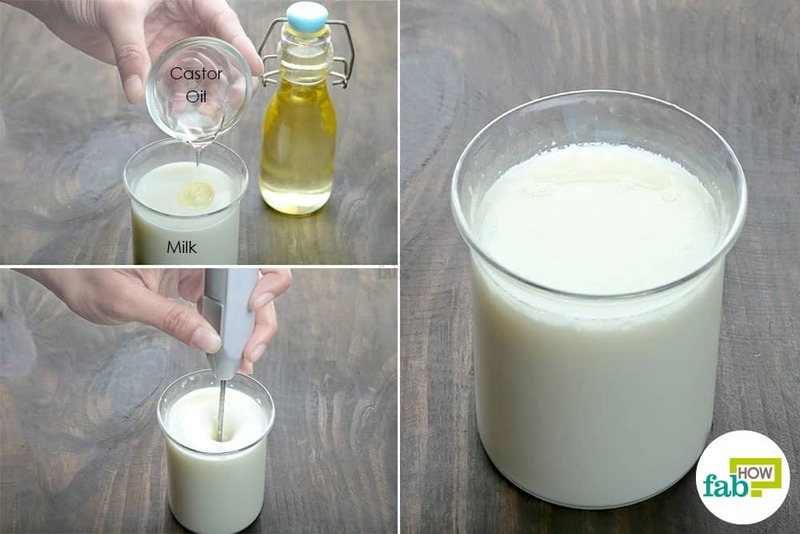 Add 1 teaspoon of castor oil to 1 cup of warm low-fat milk. Blend the two well using a motorized hand blender. Consume this drink before going off to sleep. One dose should be enough to do the job. You should pass a normal stool the next morning. For more chronic cases, continue taking it once daily for 4 to 6 days until you get relief. For those who cannot stand the awful smell and taste of castor oil, you can use castor oil packs to get relief from constipation. 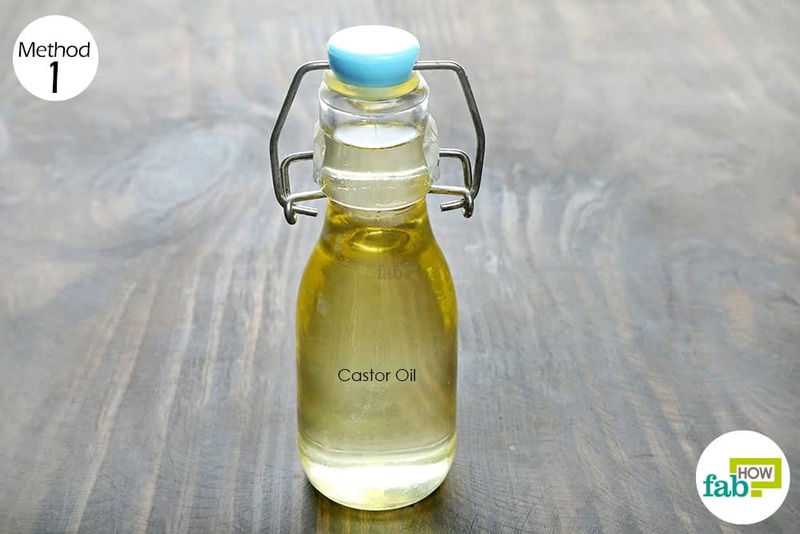 Although a highly viscous liquid, castor oil easily absorbs through the skin. It can help immensely in improving your digestion, detoxing your colon and thus relieving constipation. Also, it is helpful in shrinking uterine fibroids and for treating PCOS. Caution: Consult your doctor before using castor oil topically, especially if you have any other medical condition or if you are pregnant. Pour 1 cup of castor oil into a bowl. 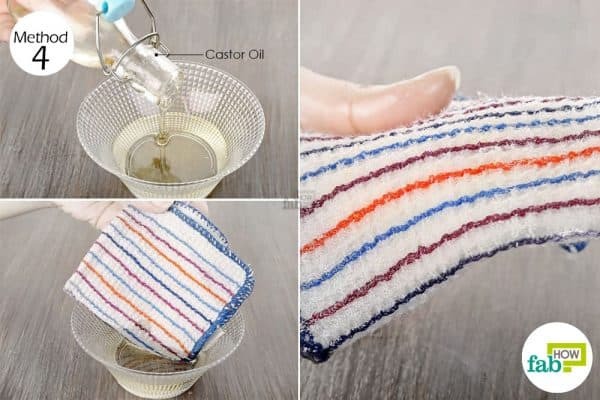 Fold a dishcloth or kitchen dishcloth into quarters, and let it soak in the castor oil for at least 30 minutes, until it is fully saturated. Spread out an old bedsheet or towel on your bed to prevent oil stains. Lie down on your back and unfold the soaked cloth over your abdomen. Place plastic wrap on top of the cloth, then place a heating pad over it. 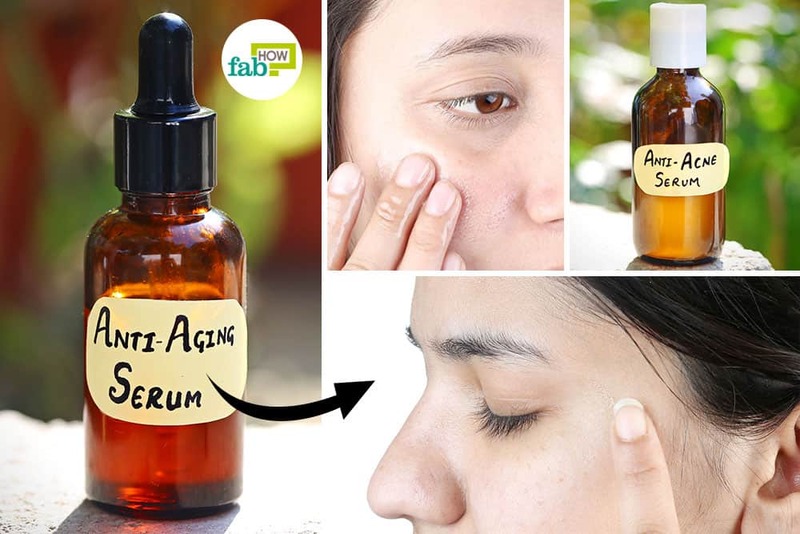 Relax and let the oil absorb into your skin for 1 to 1½ hours. Remove the cloth and place it in a ziplock bag for the next use. Wipe the excess oil off your skin with a spare towel. You can also wash it off with some warm water and baking soda. Use the castor oil pack once daily at night for 3 days, then discontinue for 4 days. Repeat if you don’t get relief after the first 7 days. 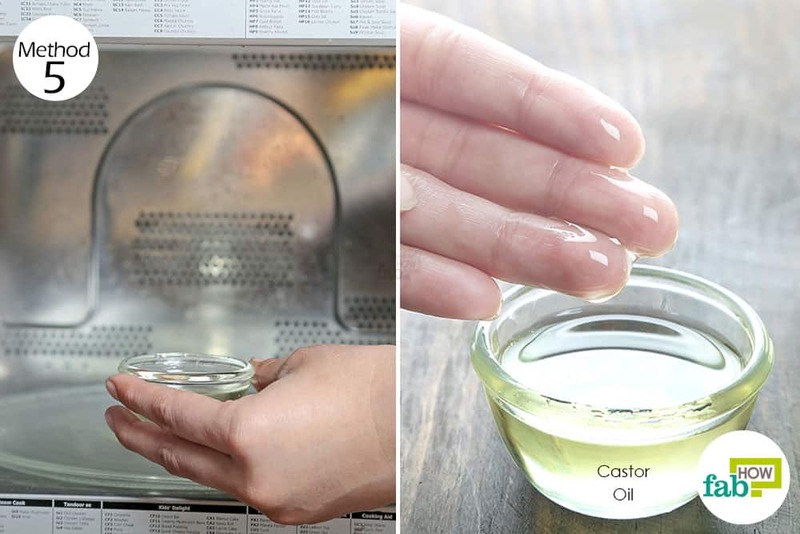 Warm up 1 tablespoon of castor oil by microwaving it for 30 seconds. The oil should be comfortable to the touch. Rub some oil between your palms, and massage it on your baby’s abdomen using clockwise circular motions. Make sure that the oil does not get in their eyes, mouth or genital area. Massage some oil on your baby’s thighs and knees as well, then push their knees toward their stomach. Continue massaging for 10 to 15 minutes, then wipe off the excess oil with a soft cloth. Do this twice every week to use castor oil for constipation in infants. When mixing castor oil in fruit juice, include some pulp of the fruit for higher fiber content. You can also use castor oil to prevent hair loss and boost hair growth. Applying castor oil on your eyebrows and eyelashes will make them naturally thicker over time. Digestive Diseases Statistics for the United States. National Institute of Diabetes and Digestive and Kidney Diseases. https://www.niddk.nih.gov/health-information/health-statistics/digestive-diseases. Published November 1, 2014. Mojgan F, Nazila B, Mohammad D. Chronic constipation: A review of literature: Medicine. Medicine. https://journals.lww.com/md-journal/Fulltext/2018/05180/Chronic_constipation__A_review_of_literature.6.aspx. Published May 2018. Ricinoleic Acid. ScienceDirect. https://www.sciencedirect.com/topics/biochemistry-genetics-and-molecular-biology/ricinoleic-acid. Published 2015. Hsieh C. Treatment of Constipation in Older Adults. American Family Physician. https://www.aafp.org/afp/2005/1201/p2277.html. Published December 1, 2005. Final Report on the Safety Assessment of Ricinus Communis (Castor) Seed Oil, Hydrogenated Castor Oil, Glyceryl Ricinoleate, Glyceryl Ricinoleate SE, Ricinoleic Acid, Potassium Ricinoleate, Sodium Ricinoleate, Zinc Ricinoleate, Cetyl Ricinoleate, Ethyl Ricinoleate, Glycol Ricinoleate, Isopropyl Ricinoleate, Methyl Ricinoleate, and Octyldodecyl Ricinoleate1. International Journal of Toxicology. https://journals.sagepub.com/doi/abs/10.1080/10915810701663150. Published May 1, 2007. Bae SH. Diets for Constipation. Pediatric, Gastroenterology, Hepatology, and Nutrition. https://www.ncbi.nlm.nih.gov/pmc/articles/PMC4291444/. Published December 31, 2014. Goodness of Milk. Gastrointestinal Society. https://www.badgut.org/information-centre/health-nutrition/the-goodness-of-milk/. Published 2008. Arslan GG, Eşer I. An examination of the effect of castor oil packs on constipation in the elderly. Complementary Therapies in Clinical Practice. https://www.ncbi.nlm.nih.gov/pubmed/21168117. Published February 2011. Nimrouzi M, Sadeghpour O, Imanieh MH. Remedies for Children Constipation in Medieval Persia. Journal of Evidence-Based Complementary & Alternative Medicine. https://www.researchgate.net/publication/260950022. Published December 15, 2013.